Tips to Increase Your Metabolism and Quicken Weight Loss with Life Plus BodySmart Logi Weight Loss System. This is Part 2 of a 2 Part article. First a quick review from Part 1 – Part 1 – Click Here! 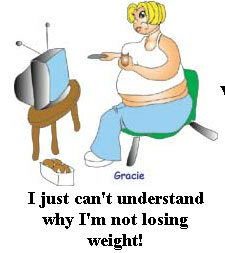 Virtually everyone wants to lose weight. A faster metabolism is one way to achieve your weight loss goals. Most people, however aren’t aware of how quite simple it can be to make your body burn extra fat and calories. Your body’s metabolic rate is influenced by all of the seemingly insignificant choices you make throughout the day, creating a double-edged sword. On one hand, it’s easy to fall into a routine that causes your metabolism to slow down. However, with the right information, it’s very simple to make the correct choices that will increase your metabolism almost effortlessly. The following are some simple tips to help you boost your metabolism with ease! 5. Drinking water – This has been shown to temporarily increase the metabolism and help the body burn extra calories. It is theorized that this is mostly due to the fact that the water absorbs body heat, and the body must then work to replenish the lost heat. Because of this, at drinking cold ice water can help increase your metabolism even further. In one study, drinking water was shown to burn extra calories from fat in men and women. Please watch the following weight loss video. 6. Avoid any unnecessary stress. Stress isn’t just unpleasant, it’s unhealthy and it slows your metabolism way down. The belly is the worst area possible to accumulate extra fat, and as you may know, stress triggers fat storage in this unhealthy place, putting you at a higher risk of heart disease. It’s unrealistic to think you can always avoid situations that cause stress, but with a little bit of time management, you can find ways to relax and take your mind of things that are getting to you. A Good stress relief product is Life Plus Anti-Stress Formula. 7. Sleep – Get at least seven hours of sleep each night (varies somewhat by individual). Sleep is far more than just time for energy recuperation. Lower levels of sleep can cause the body’s metabolism to slow down, and lean muscle is regenerated during the last hours of sleep each night. Get enough sleep, and you’ll keep all that muscle you’ve been working for, which helps to keep your resting metabolism at a peak level. 8. Don’t be a couch potato – One of the simplest and most effective ways to increase your overall metabolism is to get up and move. You don’t have to join a gym – simply take the stairs. Research has shown that minimal but consistent increases in physical activity can have a very positive effect on metabolism. Parking your car as far away from the door to the supermarket, for example, will not cause you to really break a sweat, but you will be getting more exercise. Also check out the Life Plus BodySmart Logi weight Loss Program developed by a German doctor. Click Here! This is Part 1 of a 2 Part article. However, many people aren’t aware of how simple it can be to make your body burn extra fat and calories. Your body’s metabolic rate is influenced by all of the seemingly insignificant choices you make throughout the day, creating a double-edged sword. On one hand, it’s easy to fall into a routine that causes your metabolism to slow down. However, with thew right information, it’s simple to make the choices that will boost your metabolism almost effortlessly. The following are some simple tips to help you boost your metabolism with ease! 1. To increase your overall, resting metabolism, nothing is as effective as lean muscle mass. This doesn’t mean, however, that you need to rush out and join a gym or start drinking protein shakes. Simple muscle-building workouts that aren’t stressful on your body are ideal for improving your metabolism. If you can, work a few rounds of push-ups or sit-ups into your day. It’s not really important what area of your body you add muscle tone that added muscle is going to burn calories even as you sit. A great Protein Shake to add as a meal replacement – Click Here! 2. Consume spicy foods- shortly after consuming spicy foods, your metabolism is increased. This may not be a permanent fix for a slow metabolism, they are a great way to burn calories in smaller, shorter bursts. Studies have shown that eating spicy foods can increase your metabolic rate by as much as 8% for a while after consuming them. Spicy foods are also heavier on your stomach, leading to feelings of fullness quicker. – This helps in maintaining portion control. 3. Avoid sugars whenever possible. Sugars cause the body to pull its metabolism way down and store extra amounts of fat. Because of this, foods that are high in sugar will actually have more calories absorbed by the body than foods with less sugar. Note: Starch foods get converted to simple sugars – a great way to be able to enjoy starches without most of the calories is Phase o’Lean Starch Blocker – Click Here! 4. Eat. A huge mistake some people make when trying to lose weight is starving themselves. Fasting for more than 2 days straight is not only unhealthy, but it’s also harmful to weight loss efforts, as it causes your metabolism to slow down. Plus after 2 days your body burns lean muscle not fat .When the body doesn’t think it’s going to be getting enough food in the future, it goes into fat-storage mode, and this is the last thing you want. Healthy meal portions are a good idea, but keep it reasonable. Eating smaller meals more often, instead of big meals will boost your metabolism.